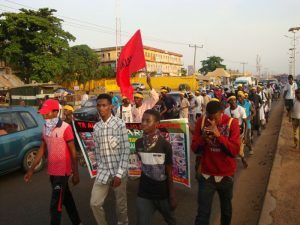 Below please find an update on the continuous Free Zakzaky protests in the Nigerian capital Abuja and other cities in the country. 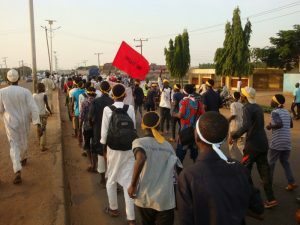 The sustainability of these protests is unusual given the recent Government attempts to shift the focus by forcibly moving Sheikh Zakzaky from Abuja. We request campaigners to continue with last week’s action alert and keep the pressure on the African Union by writing emails / letters, demanding the immediate release of the Sheikh and all those unjustly imprisoned. Please forward any responses to any campaign letters/ emails you have sent to us and please keep the pressure up and send (follow up) letters / emails. A model letter is provided below in the Action Alert. I am writing to ask for your urgent intervention to allow illegally detained Sheikh Zakzaky and his wife to leave Nigeria for urgent medical treatment due to their critically deteriorating medical conditions. 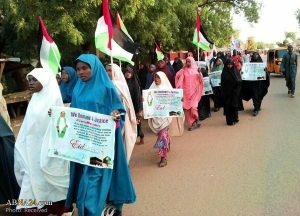 On 15 May 2018, despite the life threatening medical condition of Sheikh and his wife they were forcibly moved from Abuja to appear at court in Kaduna. This forcible arraignment of Sheikh Ibrahim el-Zakzaky and his wife by the state High Court in Kaduna conforms to a pattern of government contempt for due process and law since they were detained in December 2015. On 02 December 2016 the Federal High Court in Abuja ruled that Sheikh Zakzaky and Muallimah Zeenah should be released within 45 days. The court described their detention, which began in December 2015 as illegal and unconstitutional. The deadline for the court order expired on 16 January 2017 but the Nigerian Government has refused to obey the court order. The Nigerian government has kept them detained illegally for over two years now and Sheikh Zakzaky and his wife still remain in the custody of the state, in clear contempt of the court order. Current trumped up charges against him are part of a wider effort to cover up the gruesome crimes committed by members of the security forces in Zaria in December 2015 that left at least 1000 civilians dead. 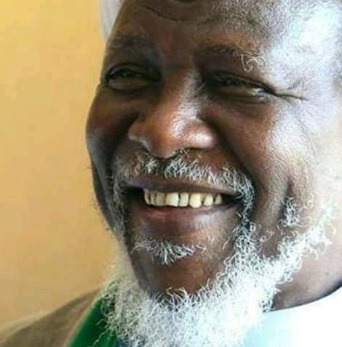 The state’s denial of medical treatment to Sheikh Zakzaky has led to a severe deterioration in his medical conditions and the recent attempt to move him forcefully will put his life in danger. I am extremely concerned as Sheikh Zakzaky suffered a stroke in early January and his condition has been further aggravated due to the continued unlawful detention and denial of access to adequate medical treatment. He was shot by security forces more than two years ago, losing his left eye in the process and is currently at risk of losing the use of his other eye. 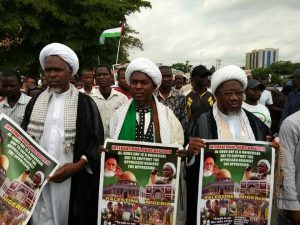 It is imperative that you apply pressure on the Nigerian authorities so that they adhere to the High Court judgment of December 2016, and release Sheikh Zakzaky and his wife immediately. 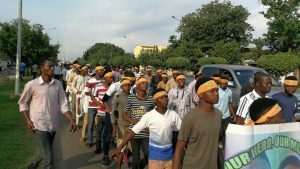 Yet another peaceful protest was staged in Nigerian Capital Abuja on Wednesday the 13th of June 2018. 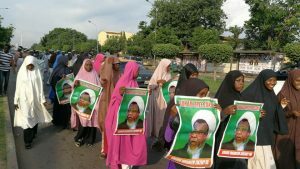 A large number of Men, Women and Youth came out to demonstrate against the illegal detention of their leader Sheikh Ibrahim Zakzaky. 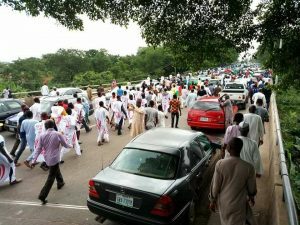 There has been regular continuous FreeZakzaky protests in Nigerian Capital Abuja and security forces used various tactics to stop these protests in the capital. Last month in most recent move DSS forcibly moved Sheikh Ibrahim Zakzaky and his wife from Abuja to Kaduna under a new plot of trumped up charges against them. 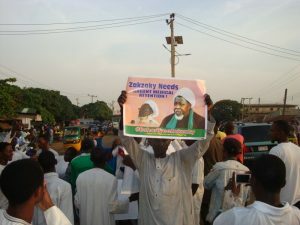 The attempted move to Kaduna was also a desperate effort to deflect attention from the ongoing daily FreeZakzaky demonstrations in the Nigerian capital, Abuja. 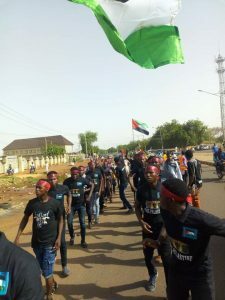 Security forces have regularly attacked these peaceful FreeZakzaky protesters, they have killed at least 6, arrested, tortured and injured hundreds of them with live bullets and teargas over the last few months. 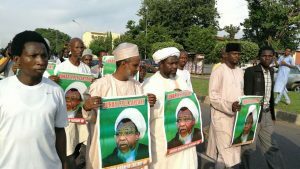 Yet the FreeZakzaky protests are regularly staging massive demonstrations in Nigerian Capital Abuja. 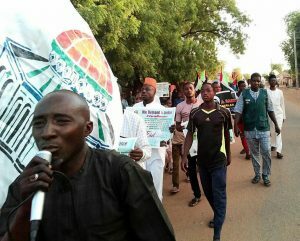 A large number of youth, men and women joined FreeZakzaky protest in Kaduna on Wednesday 13 June 2018. 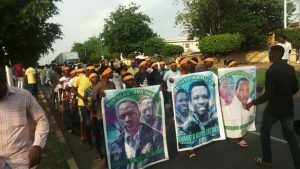 Another FreeZakzaky protest was arranged in Nigerian Capital Abuja. 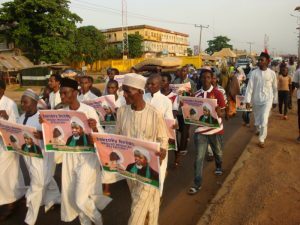 A large number of protesters came out to demand immediate release of Sheikh Ibrahim Zakzaky, leader of the Islamic Movement of Nigeria. 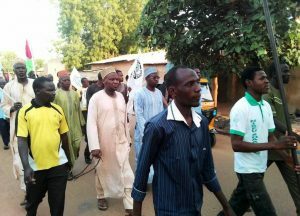 Protesters demanded justice for Sheikh Zakzaky and victims of the infamous Zaria Massacre. 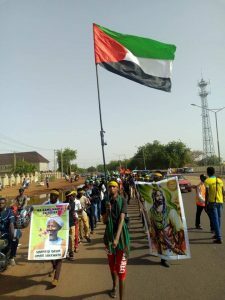 On International Quds day, Free Palestine and FreeZakzaky Processions were staged in Potiskum,Yobe state on Friday the 8th of June 2018. 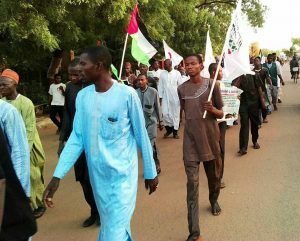 On International Quds day, Free Palestine and FreeZakzaky Processions were staged in Sokoto on Friday the 8th of June 2018.